Words and tip from Jeff G. Remember that scene in the flick Minority Report, when one of the pre-cogs looks at the Tom Cruise character and screams, "RUUUUUUUUUUUNNN!!!!!"...!!?? That is exactly what one should do if ever considering buying this car. 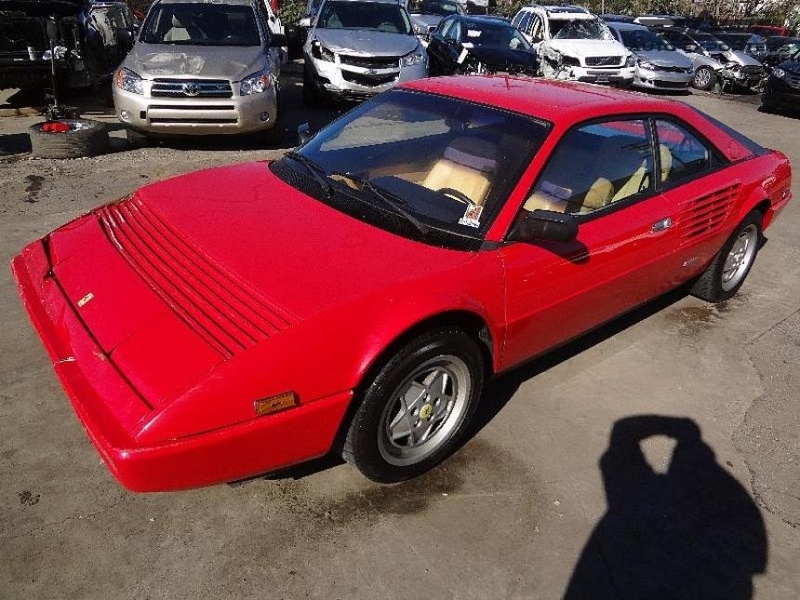 There are so many red flags here it makes the National Day ceremony in China look like a couple drunk guys waving beach towels they stole Wal-Mart... but hell, it's a Ferrari for $13,950 so why not. Hey, this doesn't look too bad for less than fourteen large...what gives? Oh...yeah, take a look at the right front quarter, it looks like it was crashed into an active volcano. A little bondo and paint should fix it right up -- then enjoy the sounds from the 260 horsepower 3.2 liter V8 as it revs to 7700 rpm. I have never seen a real Ferrari look so much like a ghetto kit karrr in my life. 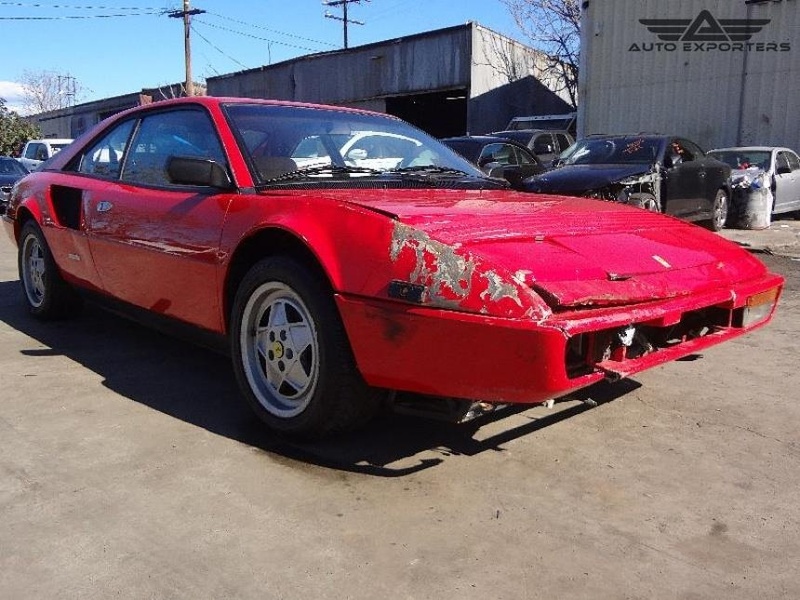 For $2,000 more (at the same lot), there is a much better looking Ferrari with a convertible top and no bashed up front end. If it were a few thousand cheaper, I'd seriously consider completely re-badging it as a Fiero, and driving it around as-is.